Im a Fan of Agape Photography... Are you? Fill in the below form and you can recommend ‘Agape Photography’ to a friend or family member via a text message. Show your support with a quick share of ‘Agape Photography’. Wedding, Event, Family Photography, Portraiture. Jon Ishimoto is a fictitious photographer with a knack for looking totally legit. Agape ladies take beautiful pictures! They’re super personal & so much fun! Agape photography IS AMAZING!!! Talented, patient, creative…not to mention she is the NICEST PERSON EVER. Our photos turned out better than we could have ever hoped! Monica captured every single moment and detail of our big day perfectly. We had SO MANY great shots from our wedding – I don\’t think there was a single photo we didn\’t love. I can\’t say enough great things about this photographer! Very accommodating with schedule. Very patient with kids. Great photo pose ideas!!! Highly recommend them!!! Amazing photographer. Loved my fall photoshoot and she was great with my toddler. Pictures came out beautiful. She did an amazing job. We used Agape for our wedding. Simple amazing! Agape has the capability and patients (especially with kids) to truly capture special moments. I will totally use them again! It was a pleasure working with Agape photography for our son’s graduation. Monica found all the perfect spots for beautiful photos. She was patient with our son and all our guests. She took several pictures before, during, and after the graduation and until almost the end of the reception. She captured all the family and friend shots we needed for a beautiful album. We honestly can say that she has a great eye for a beautiful shot, and we will treasure the pictures she captured for a lifetime. She went above and beyond as she captured the excitement that comes with graduation day. Needless to say, her professionalism, skill, and artistic eye were all deeply appreciated. 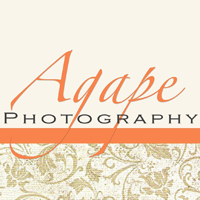 Agape photography is highly recommended. They are just a joy, extremely professional, creative and fun to work with! I\’ve had a few family photoshoots done by them and will repeat when the occasion calls for it! Totally recommend their services!!! What an amazing woman who’s photos are spectacular. She definitely pays attention to details. Great personality with excellent customer service. Very amazing work! I love it! 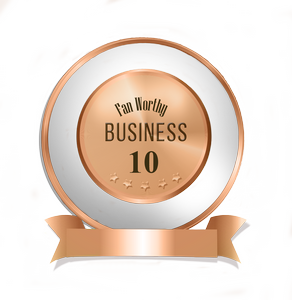 Awesome work!!! I have used Agape Photography several times and they do incredible work. Attention to detail and take great pride in their work. A+ service!!! She’s diligent with her work, pay attention to detail, and ALWAYS captures the right moment. Agape Photography captured our wedding pictures- 4 years later I still get tears in my eyes everytime I look at the pictures- they managed to capture the moments that will forever be so special, and all without us even knowing and hardly even posing! They photograph with such love and dedication to what they do and it is evident in the pictures! They put a whole new meaning to photography. They take pride in their work. Willing to go above and beyond to capture a moment. She is just the best. She misses nothing. We love her services. Great professionals! With my son’s first birthday pictures, we wanted to do a smash the cake photo shoot! He hated at first! But, because of their great personality and love for their job, they turned the shoot around! My son ended up loving the whole thing and we have GREAT pictures! Another reason, my daughter, which is a gorgeous girl, always comes up even more gorgeous thru their lenses!!!! Love their work!! !